Cori and Stuart's Whidbey Island Wedding at Fireseed Catering was something out of a dream, set in a gorgeous woodland wonderland with sweeping views surrounding the venue. Family, friends and their deeply rooted love of music set the tone for the sun-filled outdoor ceremony, followed by a vibrant reception and one of THE best dance parties you could hope to attend. In the words of Shakespeare: "If music be the food of love, play on." I wish I could play this day on repeat. Lindsey is such a near and dear friend in my life, and what an honor it was to be a part of her and Kevin's San Juan Island wedding in beautiful Roche Harbor. My heart burst with excitement when they set aside time for us to tour and photograph around the entire island, wandering through lavender fields, seaside cliffs and the entirely of Roche Harbor itself. The nautical theme of anchors, coral and navy blue tones and Lindsey's blue-tinted gown complimented this wild-hearted wedding down to every last gorgeous detail. 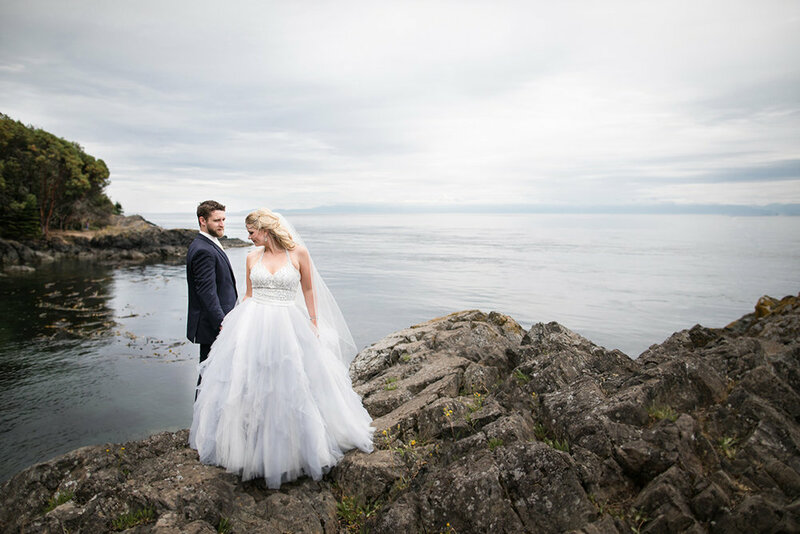 There is something otherworldly about love in the San Juan Islands, and witnessing the two of them tie the knot was simply magical.